“Quitting my job to do my startup was an excellent move” is a thought you wouldn’t expect to have while a 15-story building at the epicentre of an earthquake collapses around you. Yet, it’s one of the few things I did think of - along with love for my family, partner and the stranger weeping in front of me - when I was in the Titanium Torre in Puebla on the 19th September. Walls cracked, the ground shook, marble came crashing down. When everything stopped, I resumed my meeting in the car park, excited to be alive and to be launching my startup in several weeks. On the surface, I established Azure to bring pinole, to the wider world. It did really start with my first viewing Food Inc. It solidified as I got more and more angry for four years investigating the glaring deficiencies (and opportunities!) of a global food system at Oxford. The core mission of Azure is to address these. Azure is also born from my love for the unpronounceable active volcano Popocatepetl and the people who live on it, these communities are the producers of pinole. My host family would prepare it into a hot drink that would hug me from the inside.  We’re working hard to ensure Azure benefits directly our producers and their communities. That is why we sell directly to our customers: profits that would otherwise go to wholesalers and retailers are redirected to purchasing the manufacturing machines for our producers. With this model, our raw producers will own the infrastructure that turns blue corn into Jubáami bars. This is how a quarter of what you pay stays in Mexico. If you want an ancient source of energy to fuel your workouts, are sceptical about food labels or simply want a deliciously nutritious snack to keep you going mile after mile, join our campaign and support our Kickstarter.